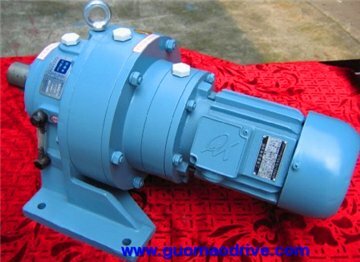 B/X Foot Mounted Cycloidal Gear Motor is one of our products we produce and we have exported to all world wide. 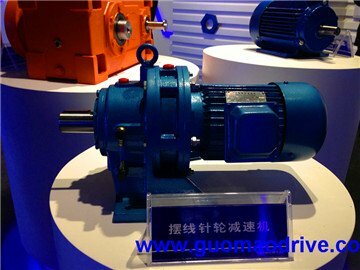 Since 1993, Guomao factory began to make gear reducers and up to now, we have been one of the most famous gear motor factories in China. We are hoping to make business with all world's cutomers based on win-win profits. 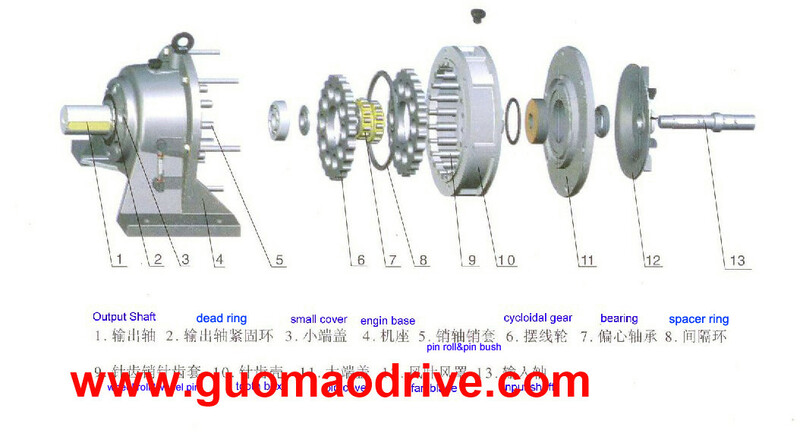 When input shaft brings eccentric locking collar to rotate one cycle, because of the characteristic of tooth profile curve at cycloidal wheel as well as it is limited by up pin tooth of pin wheel, the motion of cycloidal wheel becomes a plane motion with revolution and rotation. When the input shaft rotates clockwise one cycle, the eccentric locking collar rotates one cycle too. 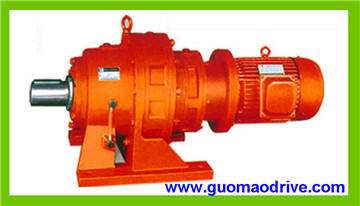 The cycloidal wheel will rotates one differential gear at opposite direction and the speed-down can be got. 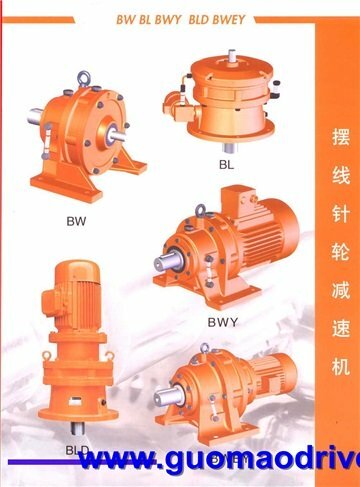 By means of W output mechanism, the low velocity rotation motion of cycloidal wheel will transmit to output shaft through axis pin and lower output velocity can be got.